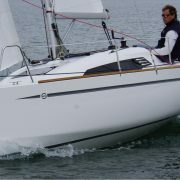 Sunbeam yachts are known for their no-nonsense, functional and good looking products and the latest addition to their range, also the smallest, 22.1 is a good example. Being featherlight with a good ballast ratio, she proves a charm to be sailed singlehanded. The interior is light and comfortable. 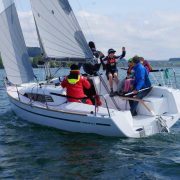 She is nominated for the European Boat of the Year 2017 and was chosen as the official boat of the national sailing Bundesliga in Austria. J&J teamed with Manfred Schoechl to design and engineer this compact sailor of promising future. One of the most awaited sailboats of the 2016 is the new ClubSwan 50. Created for the 50th anniversary of Nautor she is an important milestone in the yard’s history. Full carbon Sprint® construction, Southern Spars EC3® carbon rig, carbon keel fin and twin rudders make her a true beast while still allowing shorthanded sailing. The interior, by Poltrona Frau, is a marvel with its contemporary yet modern styling, a showcase of a clear Italian style. 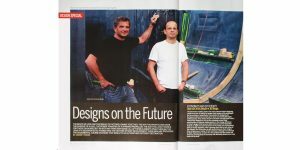 J&J Design delivered the engineering of the boat and the production process design. J&J Design contributed the naval architecture, design and engineering. Europe’s premier motorboating magazine published a 6-page review of the Leader 46 in the September issue, of a boat where J&J Design contributed the naval architecture. It is a front page article by Jack Haines, undertitled An open and shut case for France’s brilliant new sports star. Leader 46 is the top of Jeanneau’s Leader line and already won the Nautic Design Award (France, 2015) and Boat of the Year (Slovenia, 2016). The review boat was an enhanced version with twin 435 hp Volvo Penta IPS600 engines, cockpit doors plus the 11 kW generator and it was “thoroughly put to test through the wringer and howling conditions off Cannes”. Haines praised the the boat, besides overall performance, for “its ability to mould itself to your exact boating needs, be that with an open or closed deck, two or three cabins or a choice of three engines and two drive options”. He also noted impressive details such as the superb finish in the helm station where “the dash is coated in anti-glare material and you hold on to an attractive, chunky leather steering wheel”. The July/August issue of the Australian Multihull World, Power & Sail brings an 11-page review of the Aquila 44, designed by J&J. It is the front page article THE CAT WITH PLENTY OF PURRR, by Kevin Green. The review boat was an enhanced version for the Australian market with extras such as fire suppression systems, additional fuel shut-offs and life rafts as well as beefed-up shaft drives and railings, plus 300 HP engines. It was put to test off the Gold Coast of Queensland. Green especially stressed the capability of the Aquila 44 to perform either as a “six litres an hour trawler”, ideally suited for “long mileages along our Australian coasts”, or as a “a snappy powerboat”, ideal for tricky occasions, such as “should you be caught in the wrong tide at the Gugari Rip between the Wessel Islands”, also called Hole in the Wall, where the currents reach 8 knots. 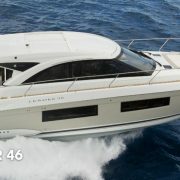 In that case, so wrote the reviewer, you “simply put the hammer down for 20 minutes and you’re through”.He liked “The commanding views from the flybridge, combined with the fibreglass bimini”, which “ensures the skipper has clear sight from the forward set helm.” The roomy flybridge with forward exit, very useful “Should the skipper need to reach the foredeck when anchoring in haste” also did not go unnoticed. In the June 2016 volume of the POWER & MOTORYACHT, the leading US marine magazine for powerboats over 25 feet, Jason Y. 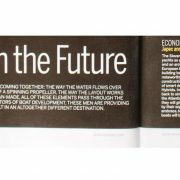 Wood published a 4-page article on what new “big things are coming in the world of yacht design”. He brought forward the ideas of 8 industry’s foremost minds who will lead the future developments. 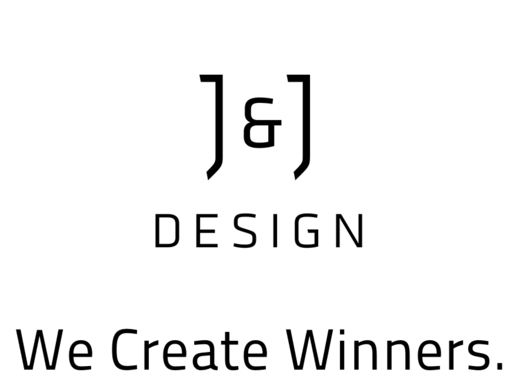 J&J Design founders were given the front position, titled Economics and Efficiency. Bavaria Match sailing boats won the tough HH Skagen Race in both categories, double handed and fully crewed. 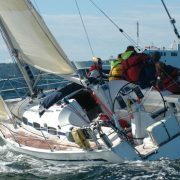 The race took place from May 4 to 6 on a 110 Nm stretch across the Skagerrak strait, from Åsgårdstrand, Norway to Skagen, Denmark. 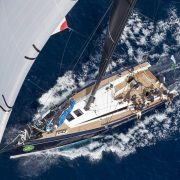 Ludvig Daae with his mate Einar Plahte Astrup finished first after a near-perfect race aboard Ille Moro, a Bavaria Match 42, while Morten Christensen and his crew triumphed on Betty Boop II, a Bavaria Match 35, both of J&J Design. We congratulate Bavaria Yachts for another outstanding achievement. Published in the new volume (12, May 25, 2016) of Die Yacht, Europe’s largest sailing magazine and titled SUNBEAM 22.1: The New Small Cruiser in Comparison of Generations. Yacht’s Fridtjof Gunkel compared the new yacht to its ancestor of the same length, Sunbeam 22 (launched in 1969, over 1.200 sold). 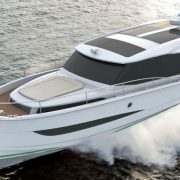 The 22.1, introduced in March of this year (http://jnj.design/sunbeam-22-1-world-premiere/), built by Schöchl Yachtbau of Austria and designed by J&J Design, impressed by better performance, handling, space, comfort and convenience. Overall, the SUNBEAM 22.1 is not only very successful but also a true asset in small cruiser market. 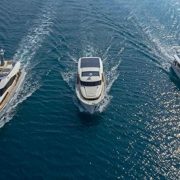 SVP Yachts has unveiled an addition to the Greenline Hybrid series – the all-new 12 metre two-cabin Greenline 36 Hybrid yacht, the first of the 5th generation from a renowned and best selling class, designed and engineered by J&J Design. 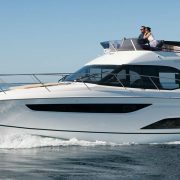 The 36 improves on its siblings in almost every aspect, from boarding the boat to hydrodynamics, from sea worthiness with low consumption to higher speed and stability. She is the first production yacht ever to offer air conditioning and/or heating unit as standard. Greenline 36 sets a new level of a yacht that is not only easy and fun to use, but is also environment-friendly, convenient in every way, affordable and of great value at the same time. We would like to congratulate SVP on this exhilarating project and wish it a bright and rewarding future.